-Rotationally symmetric components, like cogs and splined shafts, sliding sleeves, cardan shafts, external rings, transmission components (e.g. synchronizer rings). Measure rotationally symmetric workpieces on your production line. Using our new KENOVA measure line range of products means that you can inspect the quality of rotationally sym- metric workpieces directly after machining and/or between individual production steps on an automated basis. Since it is possible to integrate the units into production lines, the workpieces do not need to leave the production line. This guarantees the highest levels of efficiency and optimum process monitoring. You can choose from various measuring tasks that can be customized to your own particular requirements. In this connection, the measuring tasks range from the diame- ter through the length, roundness, angle to concentricity and even more. 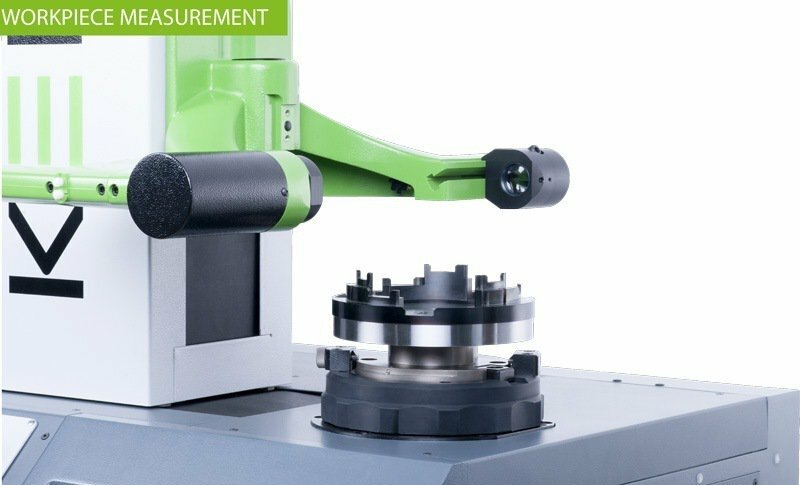 When measuring workpieces, the same requirements apply as with tools. It is highly dependent on where you carry out measurement and under what conditions. The measuring ma- chine must be as resistant as possible to vibrations, tempera- ture variations and other external influences. In addition, the traversing speeds of the motors must be optimized and all the components must be coordinated on an optimum basis. Equipment produced by Kelch doesn’t just provide you with the perfect conditions for measuring your tools but also for measuring your workpieces. The solid structure of the machine due to the mineral cast plays a decisive role in guaranteeing precise measurements. This helps avoid the risk of changing ambient conditions affecting the measuring result. Many other manufacturers use cheaper cast aluminium, but we firmly believe in mineral cast. This is the foundation for precise measuring in our high-quality mechanical systems. For further informations please contact us or visit KELCH webpage.